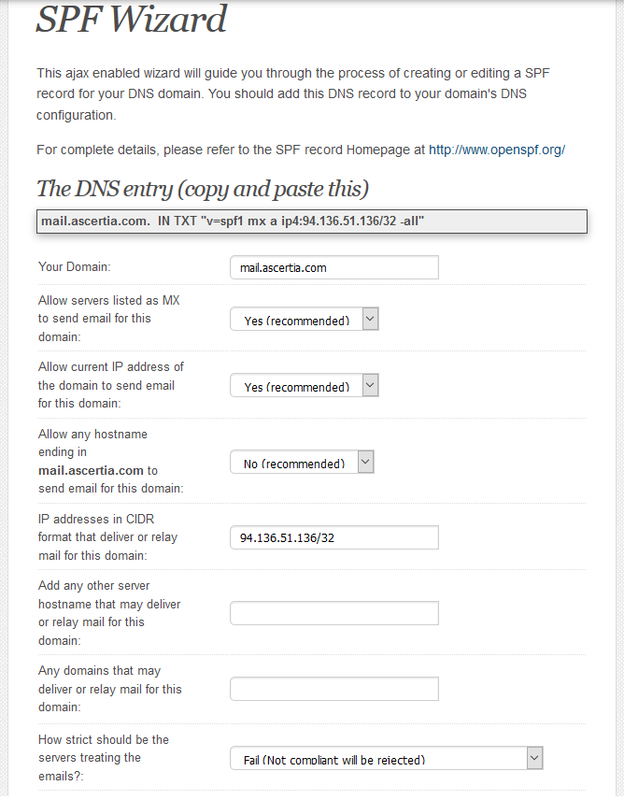 Create SPF record for your email server on your name server (DNS) to fight against spams. It will save your time and also secure your email server to be ranked negative. Sender Policy Framework (SPF) is a text or SPF based record of DNS (Domain Name System). It is a simple email validation system. It is used to detect email spoofing by providing a mechanism to allow receiving mail exchanger to check that incoming email from a domain comes from a host authorized by that domain’s administrators. The list of authorized sending hosts for a domain is published in the Domain Name System (DNS) records for that domain in the form of a specially formatted TXT record. Email spam and phishing often use forged “from” addresses, so publishing and checking SPF records can be considered anti-spam techniques. The most important part to create the successful SPF record is the DNS entry for that address in the DNS system. If you don’t have a valid DNS entry in the DNS you will end up wasting your. Make sure under given things are completed before you start working with SPF record creation on your DNS. DNS A record is created for the domain name which is being used for the email server. If you are using a public DNS then you have to make sure that domain name (abc.com) is pointed towards your email server. if email server is configured on some other server. User under given web tool to create SPF record for your domain name. You can change the last drop box according to your requirements. There are four options available in this drop box. Select the options that best fits.